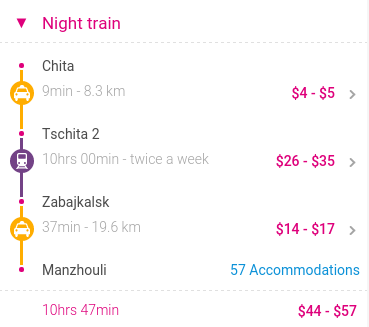 I have booked the tickets up to Chita. After Chita, I want to go to Manzhouli (China). Any idea how to do that? 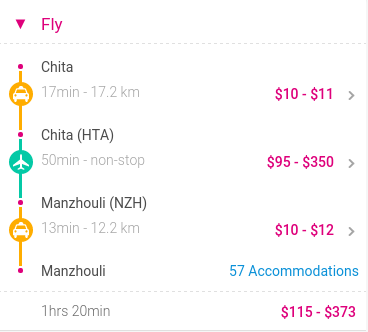 Both cities have airports and both Indonesian Airlines and Air China have a service between the two, though the airport in Chita is a little far from the center of town. Not the answer you're looking for? Browse other questions tagged trains china russia or ask your own question. 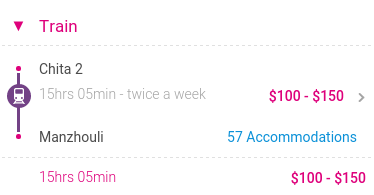 Single travelling in Sep-Oct - which destination: China, Russia, Barcelona + Portugal, or Cuba? Passport number or DOB needed when flying from China to US?